Dairy leaders have suggested numerous options for research by a new body being established to protect the future of industry study in Taranaki. 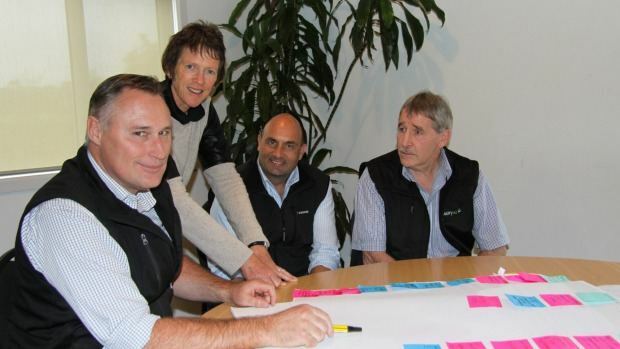 DairyNZ staff, farm consultants, organic farmers and Taranaki Regional Council representatives were among a group of about 20 who met to develop a strategy for the new Dairy Trust Taranaki (DTT). Organisers hope DTT will be in place by December 1. An application for its establishment is now before the Charities Commission. DTT will comprise three entities that own three research farms in the region. The Taranaki Agricultural Research Trust (TART) leases the 126-hectare Taranaki Agricultural Research Station by Fonterra’s Whareroa site near Hawera and a commercial farm nearby. A trust operates the 34ha Waimate West Demonstration Farm farm that’s leased from the South Taranaki District Council. The third farm is the 51ha Stratford Demonstration Farm owned and operated by an incorporated society. Together the three organisations farm 300 hectares, employ or contract 8.5 fulltime equivalent staff, and own assets worth $4.5 million, including about 900 high-quality friesian and jersey cows, machinery and Fonterra shares. The farms are expected to produce 550,000 kilograms milksolids this season. TART chairman Brendan Attrill asked the group to create a strategy for DTT of value to Taranaki’s dairy farmers. He said the new entity would lead to co-ordinated, sustainable research that would enhance dairy farming profitability in Taranaki and beyond. DairyNZ programme facilitators Rob Brazendale and Eric Kolver outlined the organisation’s national research plans. “It’s about how we do things better and applying our existing knowledge for a better uptake,” Brazendale said. Research by DTT into regional issues with national implications would attract more funding than studying purely local issues. Involving other parties would also provide a better mandate for funding. Kolver said questions would arise in the next couple of years about the use of palm kernel expeller following Fonterra’s 2015 recommendation to restrict cows to a 3kg daily maximum, so research into the effect on milk composition of high-input and low-input feed systems would be topical. It was possible Taranaki had a unique milk fingerprint, so products manufactured in the region might have a unique regional provenance, he said. The pair said DairyNZ’s research options included ways to improve the industry’s perception and to capitalise on New Zealand’s pasture-based farming system to attract a premium for dairy products. Better in-calf rates, animal productivity and pasture utilisation, reducing nitrogen leaching and managing volatility for improved on-farm performance were being looked at. DairyNZ Taranaki regional leader Katrina Knowles said research had to be driven by farmers to attract levy funding. Farm consultant Brian Hockings said Taranaki was a major dairying area, so research conducted in the region would affect other regions. The session generated broad research headings of fertility, farming systems, environmental management and demographics that included specifics of nitrogen leaching, succession planning, organic farming, land prices, autumn calving and improving the six-week in-calf rate. Taranaki Regional Council director of environment quality Gary Bedford said the council would assist with investigating reasons for the region’s low nitrogen levels in groundwater and rivers. Attrill said the next step in the strategy was preparing proposals for research for the 2017-18 dairy season.